Frederico Fellini's pseudo-documentary depicts an Italian television crew's visit to film an orchestra rehearsing under the instruction of a tyrannical conductor. 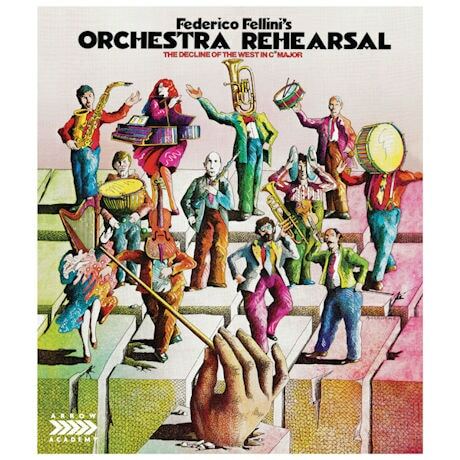 Abounding with its director's trademark expressive style, this wonder of allegorical filmmaking marks the final collaboration between Fellini and the legendary composer Nino Rota whose beautiful theme is central to the proceedings. Italian with English subtitles. 80 mins, 1 Blu-ray disc.